I recently got myself a Microchip SAMR34 Pro Xplained board. I got mine from Digikey for $US99, including international shipping to New Zealand. The dev board comprises of a ‘node section’, a debugger/programmer, a few Leds and Buttons, and a quite comprehensive set of tools to very accurately measure power consumption. The SamR34 is a combination of a SAM L21 Microprocessor, and a Semtech SX1276 packaged into a 64 pin BGA ( 6x6mm ). It is well suited to a 4 layer PCB, ( i think 2 layers may be practically impossible )… You need to add a small handful of external components to it, to make it useful. This has been my first use of a Cortex M0+, and Atmel Studio 7IDE. I do have quite a lot of experience with C, but there was a small learning curve to get over. Chipsets like this fall over on the quality of the drivers/code and documentation. I’m very impressed with the drivers/code, but the documentation is a little lacking. 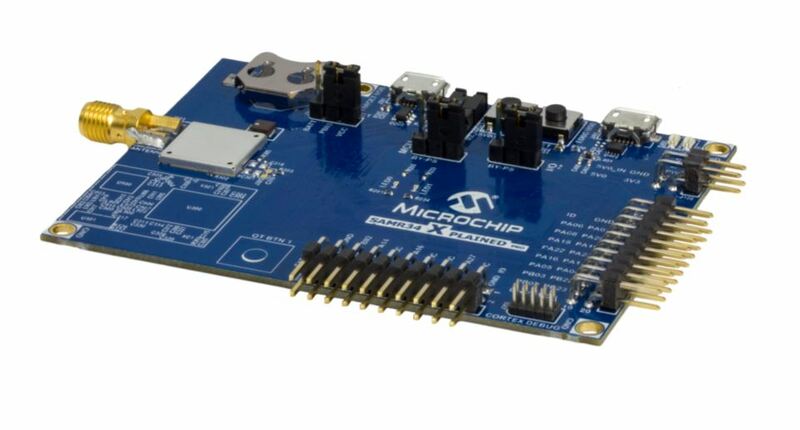 Microchips demo is not a ‘simple’ app, and it took a solid days work to get through how it works, but once you do understand its framework, it is easy to add new features to it. I have tested it with EU868 and AU915 and both work fine. There no reason to think it won’t’ work with other bands. The Chips itself start at about $3.60 which makes them very attractive for developing applications with. I’m intending on developing a module for internal use, and likely will make the design available open source, but at least for me, it is not worth pursuing as a ‘product’ as it will just be copied and replicated at a price point that does not make it worth time. I appreciate that some will complain about the $99 price point. It is probably not targeted at the hobby tinkery market. Yes, you could probably piece it together cheaper from parts yourself. but if time is real money then I think its good value. 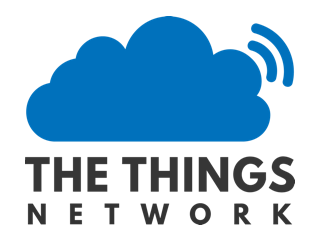 Of all the Lora development systems i’ve had a play with, this has been the best experience I’ve had. After a day of learning, I was able to piece together a simple application. I’d say if you are looking for somethign to play with, this is not a bad choice. Disclaimer: I do not work for Microchip, have any financial interest in them, or was paid or even encouraged to offer this review. I saw an advert for the board and thought it was interesting and just bought it. When things get too cheap, then it no longer becomes interesting for companys to make them. Dont’ wish for too cheap. anyway… see also THIS LAB story how to program/use the dev board. The lab above is good, if you are using an EU band. If your using NA or AU you may get a little fustrated ( particually if you are new to this ). Somewhere in there it needs to tell you that you need to change the sub-band from 1 to 2 so that it can work with TTN. I’ve tryed to contact the author but had no reply. I agree that documentation and support for this board is lacking. I also think the libraries are a little buggy. Using the example as a base I ran into an issue with the scheduler - which seems to have an issue with scheduling functions when it crosses the 2^32 boundary (counter in µS - so every 71 minutes). ASF is sadly lacking as well. Compared to the L21, there is a lot of functionality thats just not there… DAC, PWM. Lora is in there, but in the code example they did’nt use ASF. Its been really rushed through. The reality right now is that You have to write without ASF and write at a l of your own librarys. There is encouraging noises coming from teh MBED team… They have got a partail solution, but no radio yet. That might be the best hope. I’ve also been having a chat with some folks who think it might be possible to port ardunio to it. The rumours I heard is that mbed support for the R34 won’t come soon as Microchip is not one of the Mbed partners (https://www.mbed.com/en/partners/our-partners/). There is a lot of politics around this. But on the other hand they did promise mbed support for the generic node, which uses the R34. If someone ports Arduino to the R34 I would be very happy. Although Arduino is more meant for hobby and experiment, I find the support so good there that one can just as well use it for production these days. For example look at all the Sodaq boards (using ATSAMs) and their great official support. The rumours I heard is that mbed support for the R34 won’t come soon as Microchip is not one of the Mbed partners (https://www.mbed.com/en/partners/our-partners/ ). I think you’ll find it might only be as little as a few weeks away. the SAMR34 Xplained Pro board works on the SAML21J18A target if you include this patch: https://github.com/janjongboom/mbed-os/commit/e49ed06f1cd412b094b1a915ac78a05c8284f524. But as yet there is no LoraRadio Support.